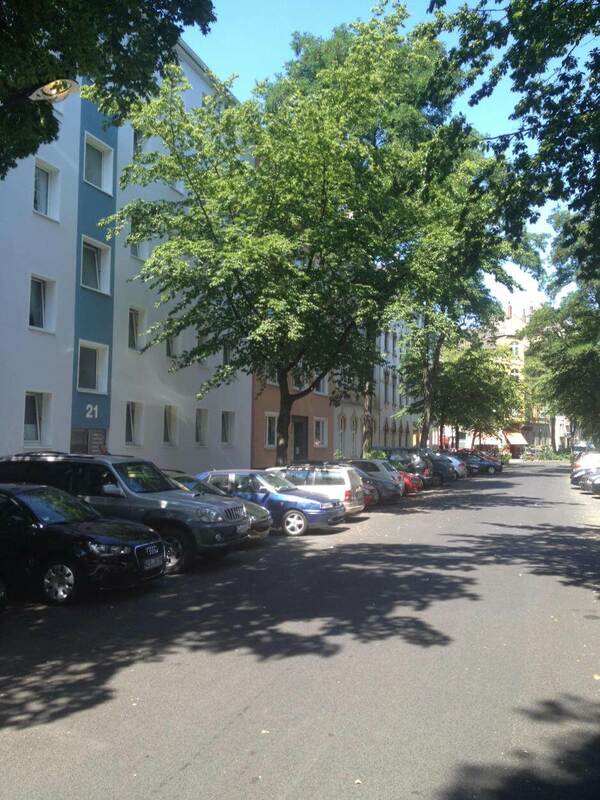 Fully furnished accommodation in Düsseldorf Flingern. 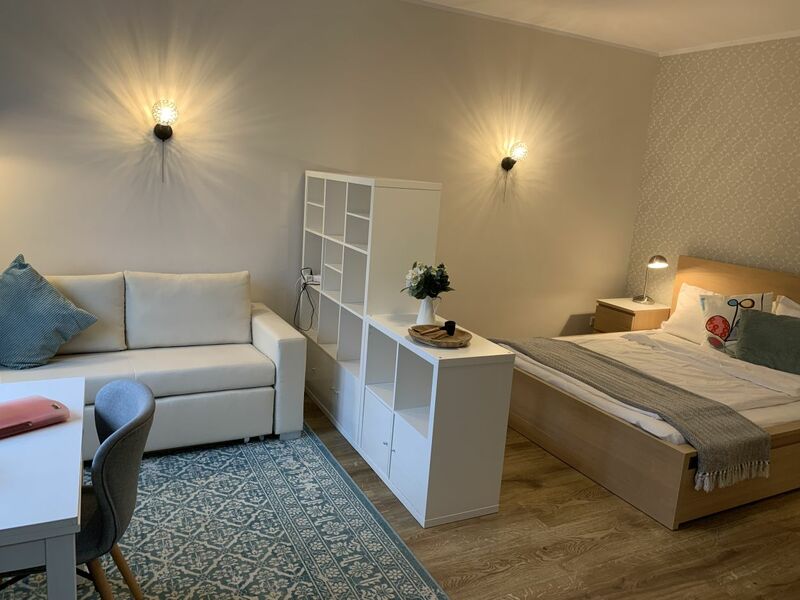 This 400 square feet apartment is fully furnished, contains of all necessary equipment and is brightly alighted from sunlight thanks to its west exposure. 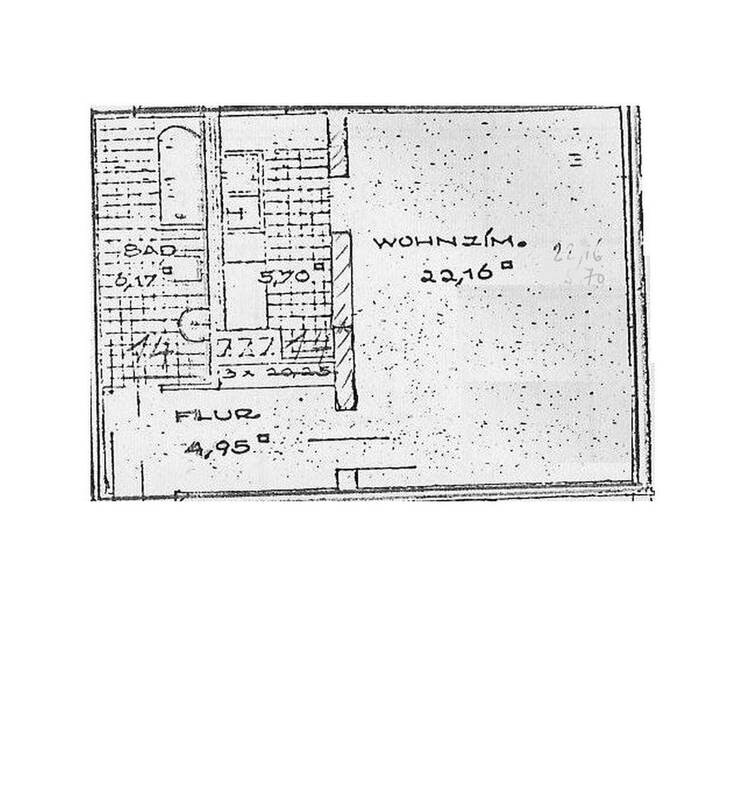 The apartment is completely quiet situated in the house to the rear. 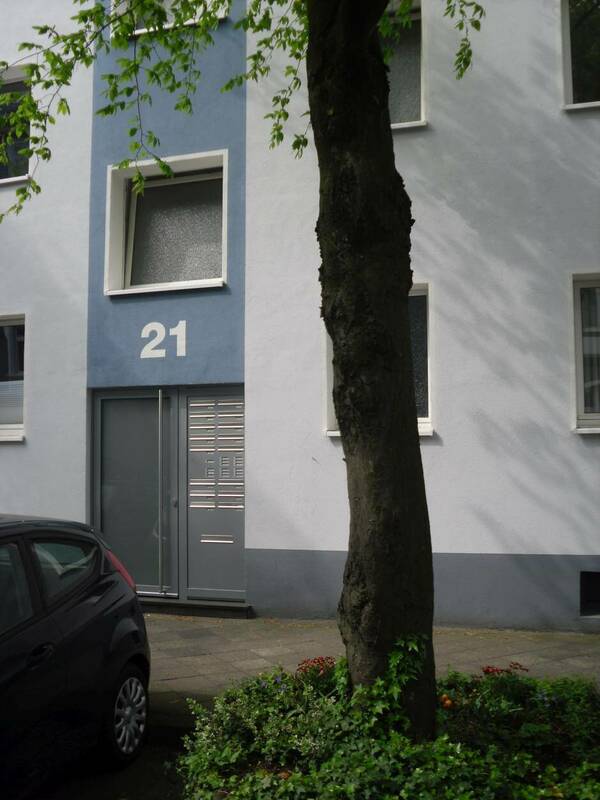 The house is located in the trendy district of Düsseldorf Flingern North. 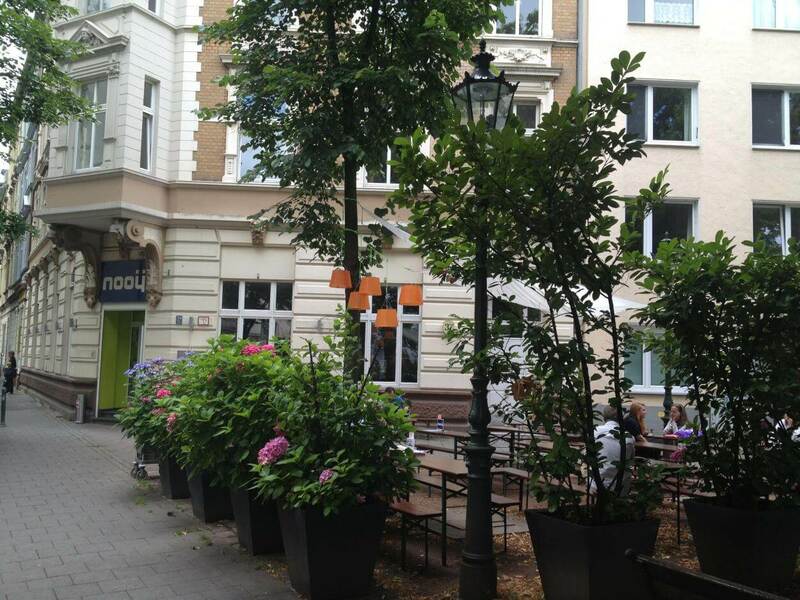 The Hoffeldstrasse is a quiet side street of Graf Adolf Allee and parallel to Dorotheen Straße. The tram takes you in a few minutes into the city and to old town; from downtown you can easily catch the subway to Messe Düsseldorf. The well-equipped kitchen of this apartment offers much more than an ordinary apartment with fitted kitchen. Due to the separate kitchen room, you can keep out the smell of cooking of the living and bedroom. For breakfast and dinner either the small table in the kitchen or the larger one in the living room can be utilized. 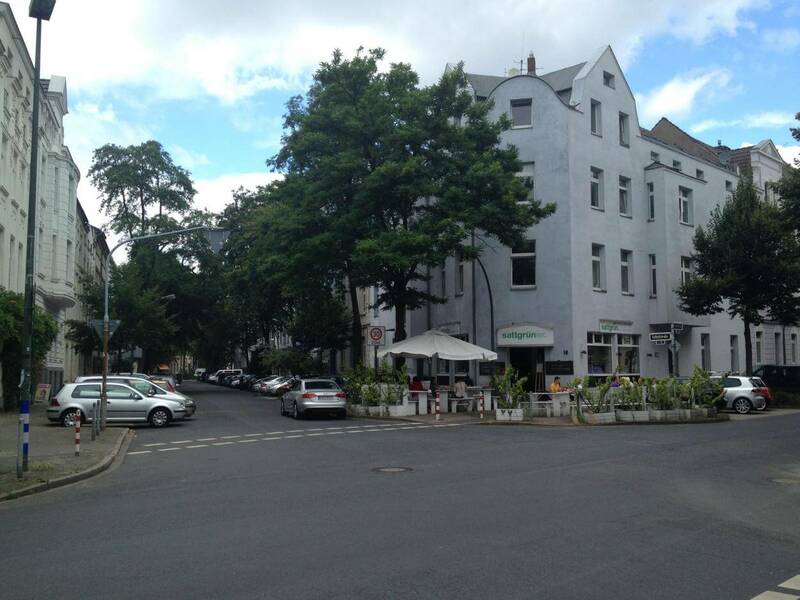 Certainly, the neighborhood has a variety of restaurants, cafes and trendy bars where you take your digestive. 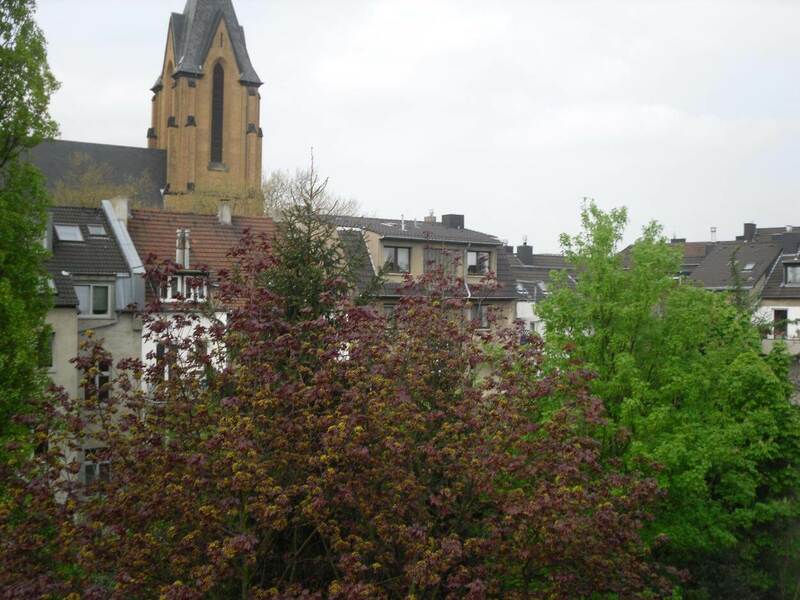 Whether as a second home for the middle to long term rental, or short term trade show accommodation, this suite is a perfect place to stay for business or pleasure in Duesseldorf. Both the apartment and the entire house have recently been renovated. The house was packed in at an energy-saving renovation, due to reduce heating costs, and the flat has got a new gas boiler for warm water and heating in the summer of 2012. In summer, the green garden invites you to a barbecue and chill out.